A new and energetic spirit of sports after sprinter Hima Das’s victory in Asian Games was observed among the students who took part in the rally on the occasion of 35th Abhiruchi Sports Day on Monday morning in spite of slight drizzling in Guwahati. Abhiruchi Sports Day is observed to mark the birthday of Arjuna awardee Bhogeswar Barua. Manipur Legislative Assembly Speaker and the key person behind promoting Taekwondo in Assam Yumnam Khemchand Singh, who was present as chief guest on the occasion, flagged off the rally at Chandmari in the city. Around 1000 school children from government and private schools and sports clubs participated in the rally. The rally started from Chandmari at around 7.30 am and ended at Nehru Stadium in Guwanahti. Mass jogging on the occasion of Abhiruchi Sports Day was also organized in as many as 121 places across the State on Monday. 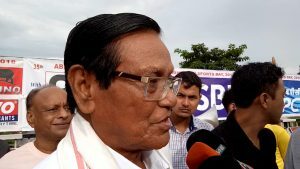 The rally was organized in 1984 for the first time by Balendra Mohan Chakraborty, editor of ‘Abhiruchi’, Assam’s pioneering sports magazine. 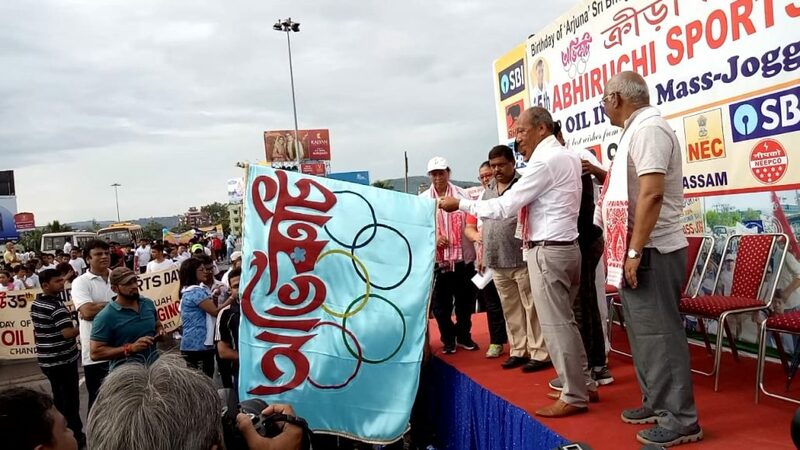 Notably Chakraborty first published the story of Bhogewar Barua, who after his 800 m gold in 1966 Bangkok Asiad, was working as a driver for Oil and Natural Gas Commission (ONGC) in Nazira and started celebrating his birthday as Abhiruchi Sports Day. Notably, Assam is the only state in India that celebrates a state sports day on the birthday of a living sporting legend.